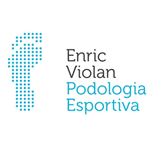 Sports Podiatrist referee in Podòlegs Col.legi of Catalonia and AEPODE and SEBIOR member . To collaborate in this race in Collserola , where I learned to run and bike , makes me especially excited . My experience as an amateur athlete has taught me that my profession has a relevant importance to assist and improve the athlete’s performance , being many times on the other side and see the need to integrate sports Podiatrist multidisciplinary medical services at sporting events . I have been fortunate to get to work on what I like, following my vocation: Podiatry . And I do sports podiatrist to what really fascinates me : the biomechanics of the foot and care in different sports. This includes on-site servicing Ultra Trails. The Podiatry in this sport have two important concepts to work, the first and second biomechanics lesions in the skin and nails. Biomechanical measures all the forces which receives and transmits the foot to the ground. There is an example that can make us understand this: in the event that we compare the human body to a car , we would say that the feet are wheels, tires and footwear engine heart . We will choose the most appropriate footwear to the type of terrain in this case must have a good grip and study the type of tread in determining whether to make a template or not. The lesions in the skin and nail differentiate among before, during and after the race . A skin level have blisters. At the level of the lesion more normal nails will nail subungual hematoma or black . The podiatry service at Barcelona Trail Races prevention tips consisting in the previous days before departure also act preventively , midway if there are problems in the feet to relieve pain and arrival to heal injuries may have suffered .